B. Braun supports the International Fluid Academy first of all because of their mutual interest in fluid management. Therefore you can find us at our booth during the 6th International Fluid Academy Days November 2017 in Antwerp. Our B. Braun colleagues are more than willing to share expertise about the recent developments in fluid management! Who is B. Braun? B. Braun is one of the world's leading providers of healthcare products today. We supply the global healthcare market with products and systems for anesthesia, intensive care, cardiology, extracorporeal blood treatment and surgery. We also provide services for clinics, physicians in private practices and the home care sector. 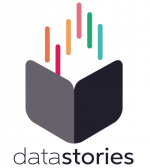 DataStories International NV is an award-winning advanced predictive analytics company based in Turnhout, Belgium. Our AI-based automated analytics platform automatically analyzes relationships in spreadsheet data, builds forecasts and creates interactive what-of scenarios. With DataStories you can take data from various sources such as risk and safety, medical treatment statistics, experimental R&D, life sciences or sales, and distill the minimum number of variables needed to optimally your predict target variables and KPIs. The results are presented in an interactive narrative, a story about your data. Epimed Solutions is specialised in management solutions for clinical and epidemiological information, which enable improvements to efficiency of hospital care and patient safety. Founded in 2008 by intensive care physicians with wide experience in risk and prognostic studies, Epimed Solutions is a market leader and is currently present in more than 450 hospitals in Europe and Latin America. Following its mission and values, Epimed offers innovative and exclusive solutions which aim to increase the efficiency of hospitals. Fresenius Kabi is the leader in infusion therapy and clinical nutrition in Europe and in most important countries of Latin America and Asia Pacific. Within I.V. generic drugs, Fresenius Kabi counts among the leading suppliers in the U.S. market. All over the world more than 24,000 employees are committed to improving the quality of life of critically and chronically ill patients with innovative products for patients in hospitals and outpatients. In the early 50's, Mr Henry Nootens was already active in the World of the hospitals. In 1957 he founded, together with his wife Mrs Gilberte Poels, the company named H. Nootens SA. Those days, the fundamentals of the gamma of hospitalization were made. The range of products contained needles and syringes, sterilization boxes, urologic catheters, endotracheal tubes, all kinds o bandages etc. Their Son, Jean-Jacques Nootens, enters the family company in 1968 and he decides to create the surgical department. This department offers a range of products for the use in the OR: surgical instruments, instruments for thoracic drainage, orthopedic en ophthalmologic implants. Mr Andre Lombarts starts in 1978 as the head of the department of hospitalization and as the chief of finances. In 1995, Mrs Valerie-Anne Nootens starts in the company to improve the impact of marketing. In 1998 she becomes the head of quality care. Pierre-Henri Nootens joins the team in 2002 and he takes care of the stocks of our different suppliers. These days, our team of 12 specialized representatives visits the hospitals on daily basis. The group Hospiplan-Nootens was erected in 1996 to adept the activities better to the reality of the European market. Nowadays, Hospiplan focuses on the commercialization of the new products which demand optimalization following the Belgian and Luxembourgian specificities. H Nootens SA became well known thanks to the good quality of service to the world of surgery and hospitals. Following our philosophy, we are convinced that it is important to listen very carefully to the needs of our clients to give a good service. Thanks to a good management of our stock, we are able to supply most of our orders of common products to the hospitals in a small amount of time. During 2004, efforts in the area of Quality Care made it possible to acquire the certificate ISO 9001-2000 and EN 13485:2003. Laerdal is one of the world’s premiere vendors of medical simulation and clinical education equipment. Laerdal began their mission to “help save lives” in 1960 with the invention of the CPR training manikin called Resusci Anne. For over fifty years, Laerdal Medical has provided the global healthcare community with clinical task training and high fidelity manikin products ranging from the Laerdal pocket mask to the Laerdal SimMan. The company boasts more than 1400 employees in over 20 countries with as many as 50 international distributors. Laerdal has partnered with key medical and public healthcare societies, such as the American Heart Association and the National League for Nursing, to provide educational curriculum for healthcare students and professionals. To provide easy access to these simulation scenarios, Laerdal has teamed up with HealthStream to develop SimCenter – an online learning management system that can provide educational solutions for your medical simulation center. Laerdal Medical supports healthcare education training in a range of fields including EMS, military, hospital, nursing, and voluntary organizations just to name a few. Maltron is a leading manufacturer of Bio-electrical and Electrical Impedance Tomography used in the assessments of Body and Abdominal Composition, Malnutrition, Fluid Monitoring and for monitoring lung diseases bedside by leading hospitals and institute worldwide. The company focus is on the research, development, manufacture and marketing of innovative products. Maltron products are well known for quality, reliability and consistent reproducibility providing reliable assessment of Body Composition and hydration in a simple, safe and scientific manner. Masimo (NASDAQ: MASI) is a global medical technology company that develops and manufactures innovative noninvasive patient monitoring technologies, including medical devices and a wide array of sensors. A key medical technology innovator, Masimo is responsible for the invention of award-winning noninvasive technologies that are revolutionizing patient monitoring, including Masimo SET® pulse oximetry, Masimo Rainbow Pulse CO-Oximetry and new Masimo noninvasive and continuous total hemoglobin (SpHb™) monitoring technology. The recent introduction of the first-and-only FDA-cleared technology that noninvasively and continuously measures total hemoglobin without a painful needle stick and invasive blood draw is expected to open new markets and significantly expand the company’s growth opportunities. MTT is specialised in non-invasive monitoring of Ventilation and Perfusion. The Evidence Based Monitoring technology for Hemodynamic optimization of IC and OR patients, the Oesophagale Doppler Monitor ODM. ODM-guided fluid management is a cornerstone of Enhanced Recovery, delivering better quality, more cost effective care as it means patients recover from their surgery faster and leave hospital sooner and in better health than they otherwise would do. ". . .The case for adopting the CardioQ-ODM in the NHS,. . .is supported by the evidence. . .The CardioQ ODM should be considered for use in patients undergoing major or high-risk surgery or other surgical patients in whom a clinician would consider using invasive cardiovascular monitoring. This will include patients undergoing major or high-risk surgery or high risk patients undergoing intermediate-risk surgery." NICE: Medical Technology guidance 3. National Institute for Health and Clinical Excellent, March 2011. Medical Technology Transfer is founded in 1993 and has the ambition to effectively support medical practice and medical treatment with carefully selected, evidence based technologies. MTT focuses on the introduction, delivery and maintenance of directly applicable clinical measuring, monitoring and respiratory equipment and related systems with high added value. Neonatology, developmental care and optimal care of the heart and lung function are focus points. At the same time is an excellent support to both doctors and nurses as well as medical physicists and medical technicians a high priority. Hereto MTT offers training standard with procurement of a system and a telephone helpline 24 hours, seven days a week available for user questions and emergency support. Also the short and long term rental of systems belongs to the possibilities. The "budget save rent" is developed together with some major clients and is frequently asked for nowadays. MTT supports medical research and promotes the exchange of knowledge and experience between users and manufacturers. Orion is a globally operating Finnish company developing pharmaceuticals and diagnostic tests, a builder of well-being. Orion develops, manufactures and markets human and veterinary pharmaceuticals, active pharmaceutical ingredients and diagnostic tests. The company is continuously developing new drugs and treatment methods. Pharmaceutical R&D focuses on central nervous system drugs, oncology and critical care drugs, and Easyhaler ® pulmonary drugs. At Pfizer, we apply science and use our global resources to improve health and well-being at every stage of life. Consistent with our responsibility as the leading biopharmaceutical company, we collaborate with health care providers, governments and local communities to support and expand access to reliable, affordable health care. Our 2000 colleagues in Belgium work in all stages of drug development. The production plant at Puurs and the Phase I Clinical Research Unit in Brussels are worldwide recognized for their expertise in innovation. Philips Medical Systems consists of patient monitoring and clinical information systems, automated external defibrillators, such as HeartStrart, and electrocardiography. These products are targeted at health providers including hospitals, outpatient clinic, physician offices, emergency rooms, and home-health services.